Medopad has made a $10 million (£7.8m) commitment to “supercharge” integration with third-party health tech companies, after announcing a new partner programme. The company has joined forces with eight firms from the health tech space, which will integrate with the Medopad platform to create new, condition-specific apps for patients. The partnerships will allow doctors to configure the Medopad app for a variety of health needs spanning cardiovascular health, drug adherence, complex wounds and diet and lifestyle. Dan Vahdat, founder and CEO, said: “Medopad believes that the only way for digital health to achieve its transformative potential is to bring the best health solutions together into one patient and clinician-facing platform that’s customisable to each condition and patients’ needs. 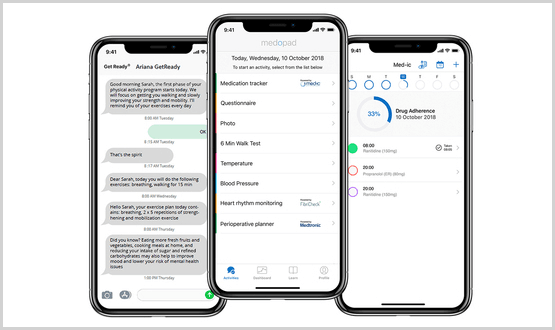 Medopad is a digital platform that enables clinicians to monitor the symptoms of patients with long-term conditions, through their smartphone and wearable devices. Doctors can configure the Medopad app to create condition-specific apps for patients and their connected devices. The idea is that the Medopad app can provide a one-stop shop of sorts for patient-facing health applications and services. Medopad said it had selected “technology companies at the forefront of health tech innovation” to be part of its Platform Programme. Through it, partners will be able to tap Medopad’s existing network of hospital, pharma and innovation partners, including Guy’s & St Thomas’, Johns Hopkins, Boston Scientific and Tencent. Medtronic, FibriCheck and Your.MD are among the companies to have joined the Partner Programme. The $10m fronted by Medopad will support technological integration, business development and market access for partners. It is prudent not to discourage any creative innovations which can only result in progress towards a better NHS…..heaven knows it needs all the help we can give it. All the parties involved are on your side and any bad ideas will be discarded and the good ones perfected then used for the benefit of all…trust me! Isn’t R&D how the world progressed. I could not disagree with you more, in every respect. What is happening in healthcare is driven by commercial interests and steered by a set of policies more destructive of everything most worth preserving than any policies I have ever witnessed. This unholy alliance is “progressing” towards a world I would prefer not to live in and I am not being given any choie. With friends like these, who needs enemies? No public agency could possibly be expected to build out a global health platform to connect patients and health providers through mobile devices. It takes private initiatives. Most medicines are not developed by public interests, either. I was implying that what serves private/commercial interests is not always in the public interest, and especially is not so when aligned with the Government’s industrial strategy that is exploiting healthcare to stimulate economic growth. This means that Government, as opposed to public, interests are aligned with commercial interests – the priority for both id business growth. The whole digital tech sector is gleefully jumping on the bandwagon, creating a frenzy of inventing “solutions” that are certainly not a priority and often not in the public interest at all. The whole point of this platform is to generate ever more data to fuel the frenzy. Just what industry needs. Just what the Government needs. Just what healthcare does not need. As a patient I have no need, wish or intention to be connected with healthcare providers through mobile devices. I don’t believe healthcare providers need this either. But the Health Secretary just loves digital toys because he understands nothing about healthcare and would much rather make a splash by stimulating a frenzy of invention that will boost economic growth – stuff people who are sick, the country doesn’t need them in order to prosper. What it needs is everyone playing digital games. Anyone not disposed to join in is dispensible and can be ignored. Novel idea but as Bertyl mentions, the difficulty will be getting the patients NHS held data. The PHR or device connections will be secure and consented (and so easily shareable with other apps). 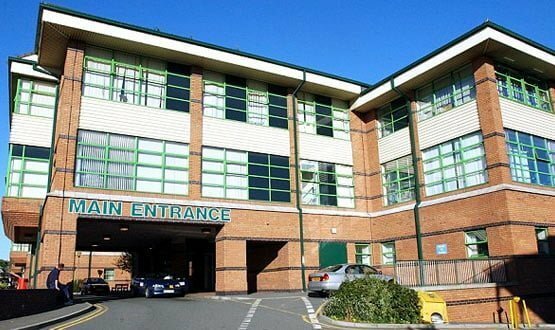 How can anyone talk about patient centred healthcare when NHS patients are not even allowed the basic right to control who has access to their health records; and when so called “opt-outs” from data sharing are always ignored, circumvented or illegally overruled? Nobody in this mindless data feeding frenzy has even a glimmering of comprehension of what “patient centred” means (particularly not Guy’s and St Thomas’ NHS Foundation Trust, in my experience). The trust has selected Vectra’s Cognito platform to secure its IT networks against cyber-attacks and help ease strain on the community provider’s IT security team.